Despite its issues at launch, NBA Playgrounds still stands out as one of the better couch co op games we got to play on the PS4 in 2017. The online multiplayer modes might have been a little funky, but the classic local two-player mode worked flawlessly, and definitely helped to revive our long lost NBA Jam memories. Housemarque never ceases to impress with their twin-stick shooter games, and Nex Machina was no different. When the bullet hell proves to be too much for you to handle, you can always give a second controller to a friend to help make things easier. Sonic Mania brought the blue blur to the PS4 in his classic 2D form. While it’s more of a Sonic Greatest Hits collection than anything else, there’s no denying that this was one of the best and most enjoyable couch co op games to release in 2017. Just don’t get into a fight trying to decide who gets to play Sonic and Tails. The Escapists 2 returns to consoles with even more prison maps for players to navigate, and even more couch co op shenanigans you and a friend can get into. It is a little frustrating that the guest player doesn’t retain any progress, but being able to plan out an escape route together with a friend is still a ton of fun. As the title suggests, Ark: Survival Evolved is a survival game where you have to hunt for materials to craft your own equipment, and make sure to take care of your character’s health conditions. If you choose to play the game offline or on non-dedicated servers, you can enjoy Ark as a couch co op game to make the journey a little easier. Everybody’s Golf is one of the best sleeper hits to release on the PS4 in 2017. The wackiness of the characters is charming in its own right, and hitting a birdie and hearing that chime never gets old. Everybody’s Golf can also be enjoyed as a couch co op title, with you and up to three other friends passing the controller around to take your turns. 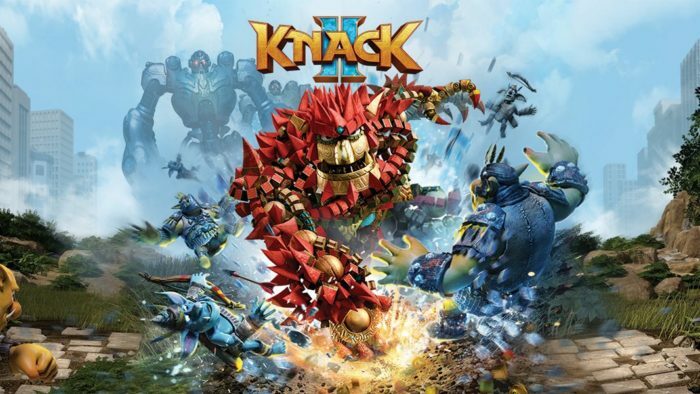 The first game might have been a bit of a bust, but take our word for it, Knack II is way better than its predecessor. Knack himself has a much more varied move set, and the game is even more enjoyable with the drop in/drop out co op feature where a friend gets to take control of a tiny creature to help you out. The FIFA games are released annually, but the local couch co op functionality is always a pleasure to have. Whether you want to play on opposing teams or on the same team, it’s pretty darn satisfying to have a buddy beside you when you’re kicking the soccer ball around on the virtual field. If soccer isn’t your thing, maybe you’d appreciate a different form of football instead. The Play Now option has been a staple of the Madden games for quite some time now, and Madden NFL 18 is no different. The game’s Franchise Mode can be played in local co-op, but do note that it only works in offline mode. Depending on how you play it, Hidden Agenda can go quickly from a multiplayer narrative-driven game to a round of virtual Saboteur. With the Play Link function, the game can be enjoyed with a few other friends, and one person will have a Hidden Agenda card that tasks them with fulfilling a specific objective in a chapter. Other players must try to figure out who the odd person is, and prevent them from reaching their goal. The meat of Call of Duty: WWII lies in its multiplayer portion, and thankfully, you can play with a friend via couch co op as well. It’s a bit disappointing that the single-player campaign can only be played solo, but at least you won’t have to go it alone in the other modes. As with any other Lego game that’s ever been released, Lego Marvel Super Heroes 2 is best enjoyed with a friend. The game features split-screen co op, allowing you and a friend to go through the story mode as you build items and work together. Star Wars Battlefront 2 features a whole host of online multiplayer modes. However, if you want a couch co op experience, you and your friend will be limited to the Arcade mode, where you’ll get to fight hordes of AI enemies. Hey, that can be fun too. To the disappointment of Dead Rising fans everywhere, the Dead Rising 4 campaign doesn’t feature co op. However, if you picked up the 2017 re-release of the game on PS4, it does come with the additional golf mode, which can be played with a friend locally. The golf mode itself is actually pretty fun, where you and a friend have to try to make shots while dodging the zombies shambling around and getting in your way. 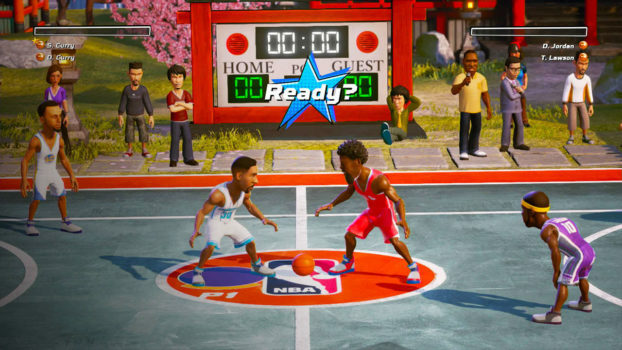 Despite its issues at launch, NBA Playgrounds still stands out as one of the better couch co-op games we got to play on the PS4 in 2017. The online multiplayer modes might have been a little funky, but the classic local two-player mode worked flawlessly and definitely helped to revive our long lost NBA Jam memories.